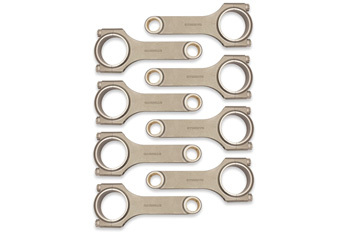 Carrillo connecting rods are well know within pro racing and street performance circles for good reason; they produce a primium product that winning racers around the world depend on. Quality and pride go hand-in-hand at Carrillo Industries. Manufacturing a Carrillo rod is much more than cutting a forging, meeting production goals and shipping deadlines. Every Carrillo rod is made with the goal of winning in mind and the Carrillo rods are a proven performer in both street and racing N54 engines. Carillo's fasteners and "Carrilloy" rods has proven popular with all racers who want the best. WMC Bolts are the standard hardware included and are an excellent fastener. For extreme output applications and all out racing, the CARR bolt option holds maximum RPMs and HP levels.